How do you perceive the environment? 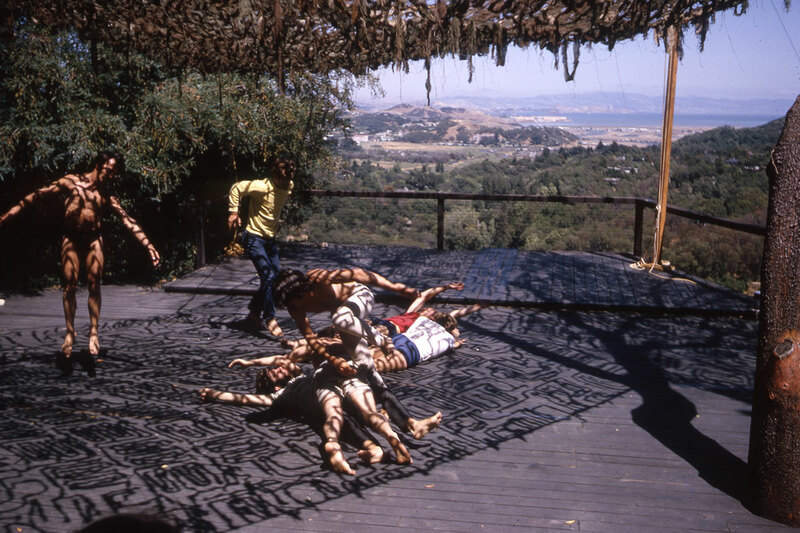 In the summer of 1966, renowned American landscape architect Lawrence Halprin (1916–2009) and his wife, dance pioneer Anna Halprin (born 1920), began a series of experimental, cross-disciplinary workshops in northern California that offered a new approach to environmental awareness. 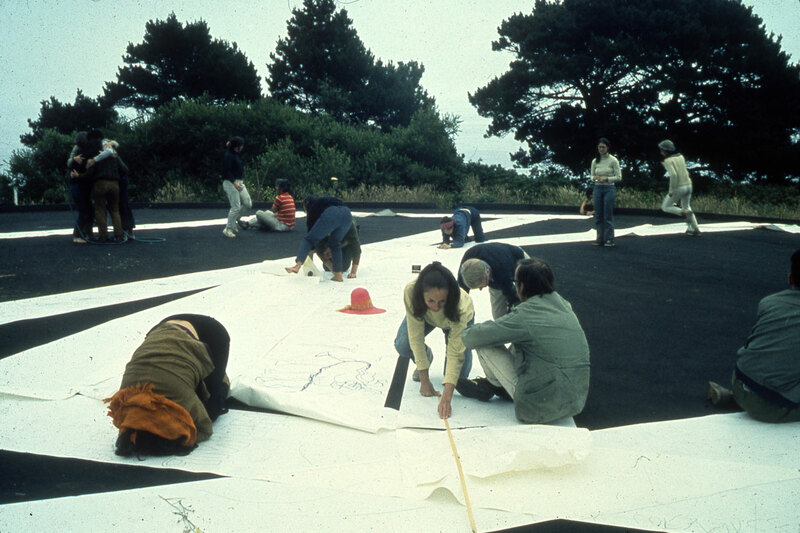 Drawn from architecture, ecology, music, cinematography, graphics, choreography, and lighting, Experiments in Environment brought together artists, dancers, architects, and environmental designers in avant-garde environmental arts experiences. 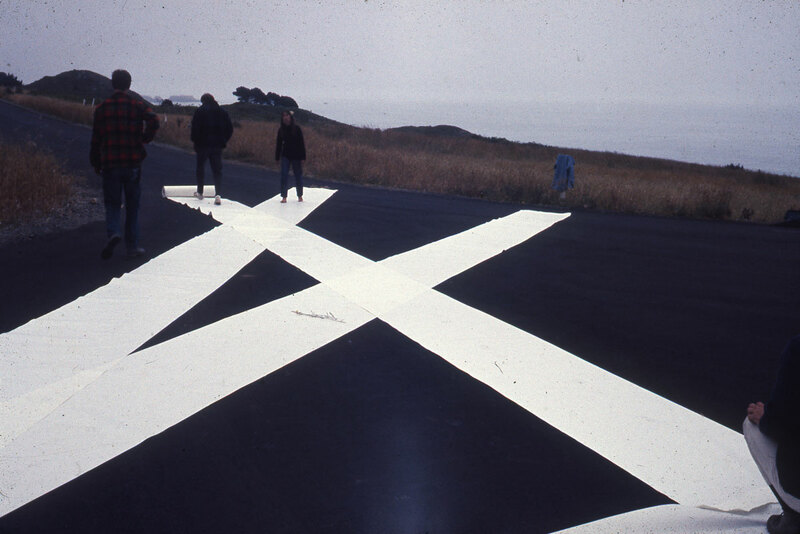 From June 27 to July 22 that summer, they engaged multi-sensory activities in alternating environments according to loosely structured, written guidelines—from movement sessions, to blindfolded awareness walks, to collective building projects, to choreographed journeys in urban plazas, parks, and rail cars. As an article in Progressive Architecture magazine described, “They built their own ‘city’ on the shore of the ocean and recreated the impact and atmosphere of a metropolis in a multimedia presentation. 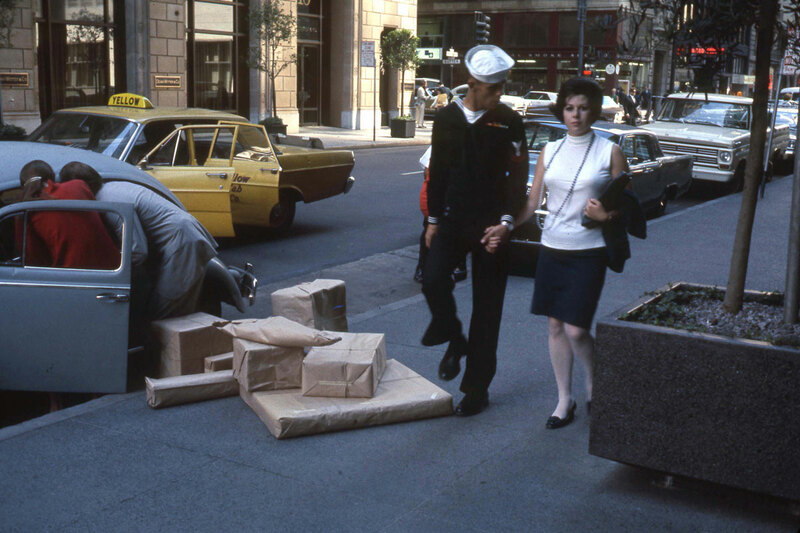 Dancers became architects and architects became dancers.” The series continued in 1968 and 1971. Organized by the Graham Foundation for Advanced Studies in the Fine Arts, and the Architectural Archives of the University of Pennsylvania. Also on display are Selections from the Collection: Countercultural Art and Lifestyle Movements, an examination of artistically and politically engaged, collaborative lifestyle movements that flourished in the Bay Area in the late 1960s and early 1970s, around the time of the Halprin workshops, including posters, flyers, newspapers, and other ephemera drawn exclusively from the collections of the California Historical Society, and a contextual exhibition familiarizing visitors to the broader careers of Lawrence and Anna Halprin—both organized by the California Historical Society. This exhibition is generously sponsored by: George Lucas Family Foundation, Lisa & Douglas Goldman Fund, John & Marcia Goldman Foundation, Gerson Bakar, Levi’s Plaza, Walter and Elise Haas Fund, John and Lisa Pritzker Family Fund, Diane Wilsey, CAW Architects, TMG Partners, Flora L. Thornton Foundation, Barbara and Ron Kaufman, William A. Witte, The Cultural Landscape Foundation, EHDD, Bill Graham Memorial Foundation; Fred M. Levin & Nancy Livingston, The Shenson Foundation. 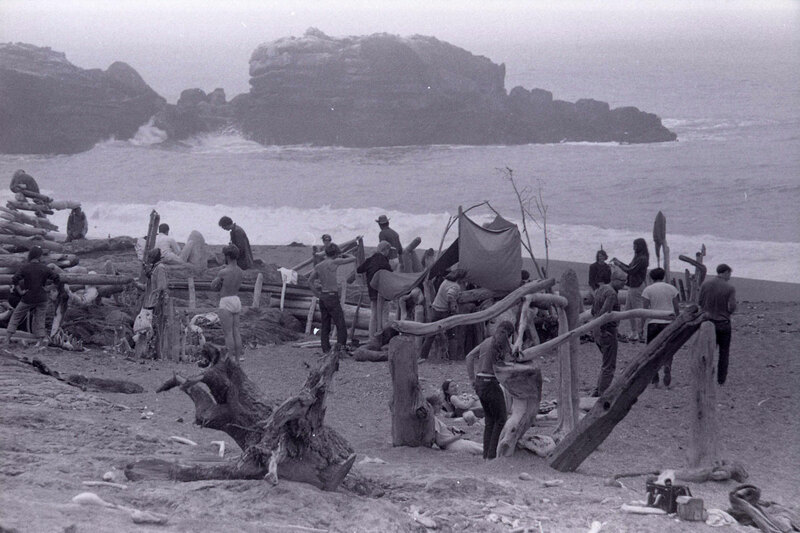 "Driftwood Village—Community,” Sea Ranch, CA. 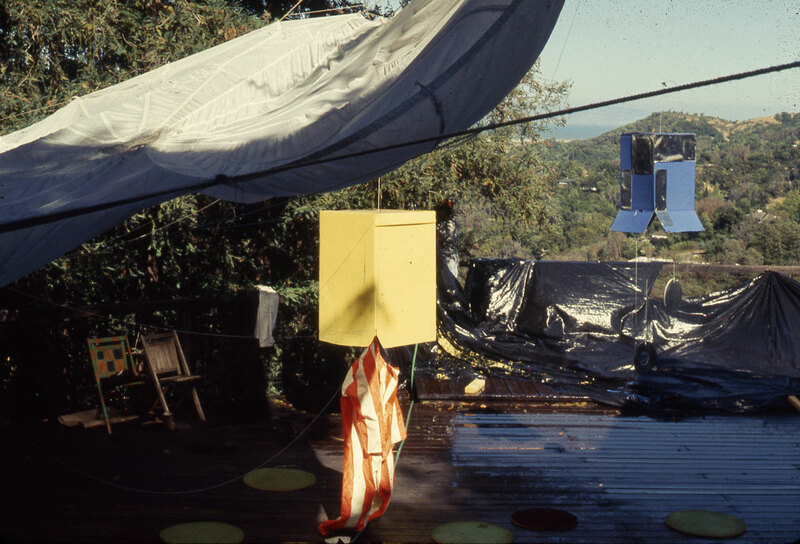 Experiments in Environment Workshop, July 6, 1968. Courtesy Lawrence Halprin Collection, The Architectural Archives, University of Pennsylvania. “Driftwood City,” Sea Ranch, CA. Experiments in Environment Workshop, July 4, 1966. 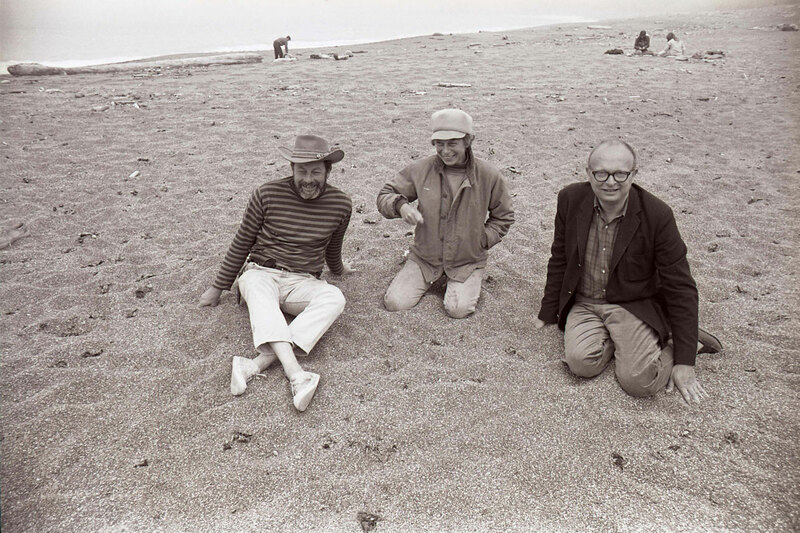 Pictured: (left to right) Lawrence Halprin, Anna Halprin, and architect Charles Moore. 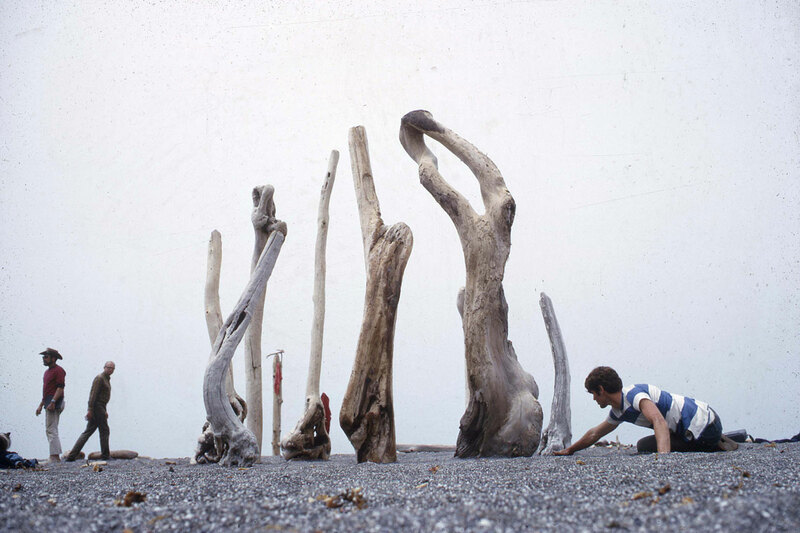 Courtesy Lawrence Halprin Collection, The Architectural Archives, University of Pennsylvania. “Driftwood City,” Sea Ranch, CA. 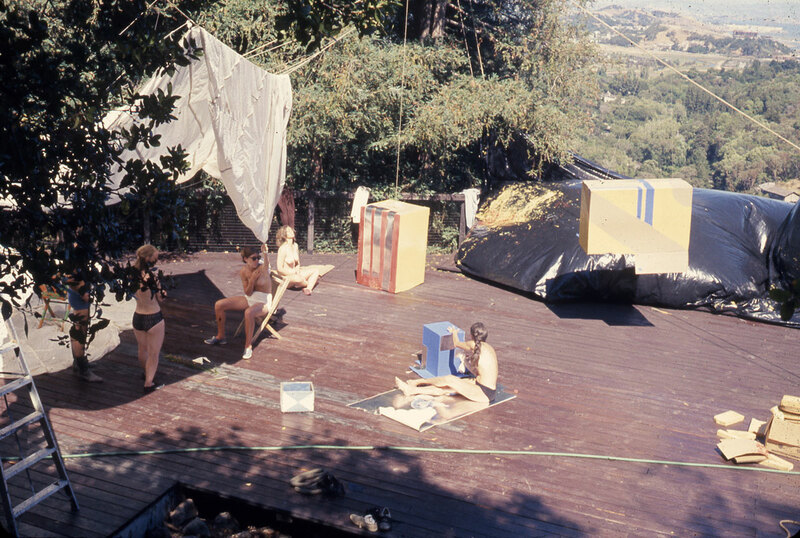 Experiments in Environment Workshop, July 4, 1966. Courtesy Lawrence Halprin Collection, The Architectural Archives, University of Pennsylvania. “Skyscraper Event,” San Francisco, CA. 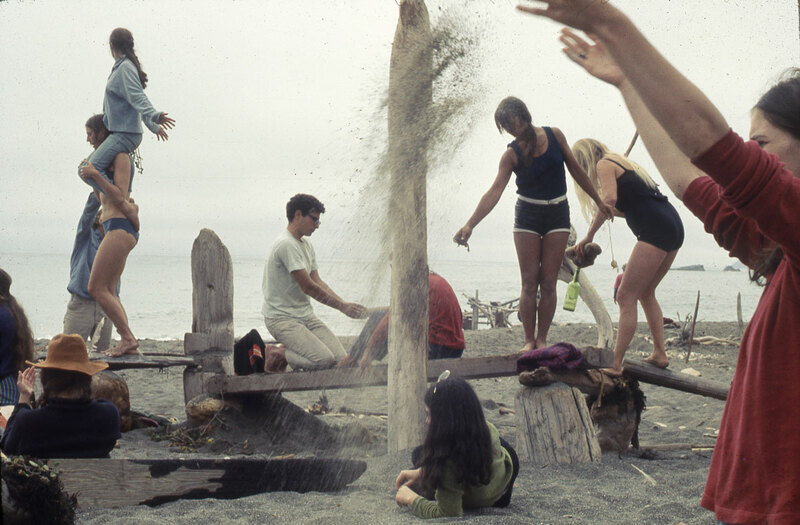 Experiments in Environment Workshop, July 19, 1968. Courtesy Lawrence Halprin Collection, The Architectural Archives, University of Pennsylvania. 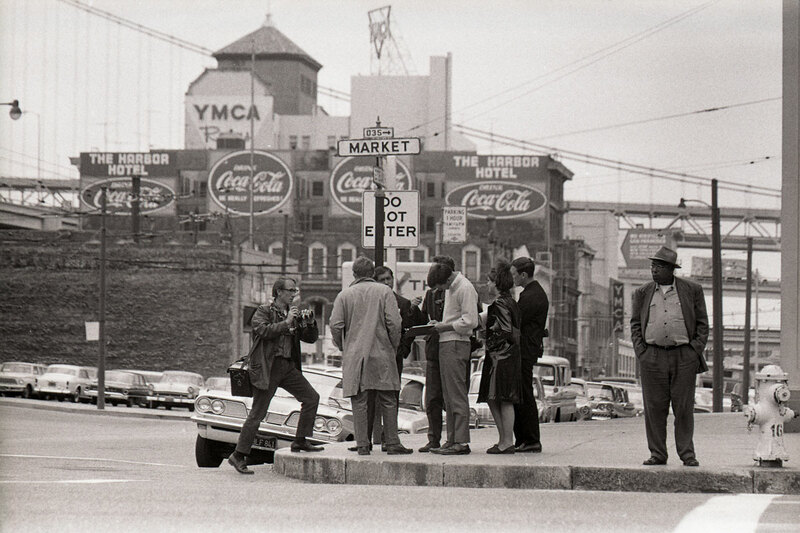 Market Street Walk,” San Francisco, CA. Experiments in Environment Workshop, July 8, 1966. Courtesy Lawrence Halprin Collection, The Architectural Archives, University of Pennsylvania. Photo by Joe Ehreth. “Ritual Group Drawing,” Sea Ranch, CA. 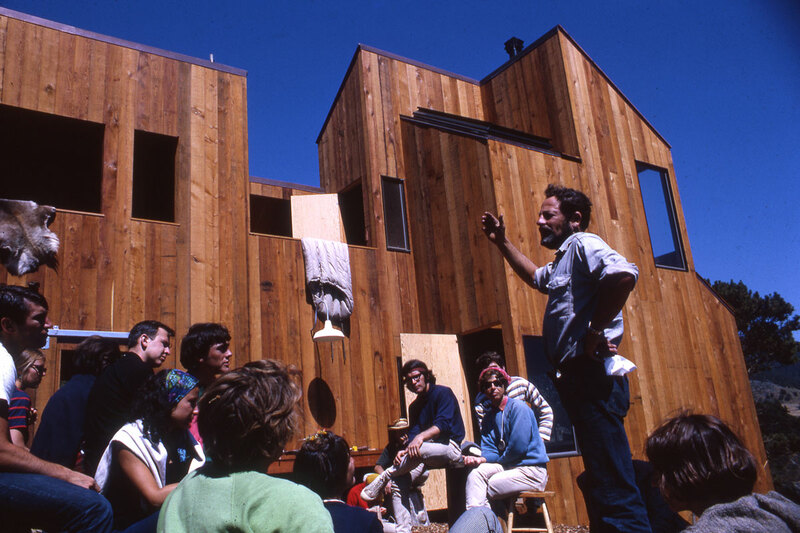 Experiments in Environment Workshop, July 8, 1968. Courtesy Lawrence Halprin Collection, The Architectural Archives, University of Pennsylvania. “Blindfold Walk,” Kentfield, CA. Experiments in Environment Workshop, July 2, 1968. Courtesy Lawrence Halprin Collection, The Architectural Archives, University of Pennsylvania. 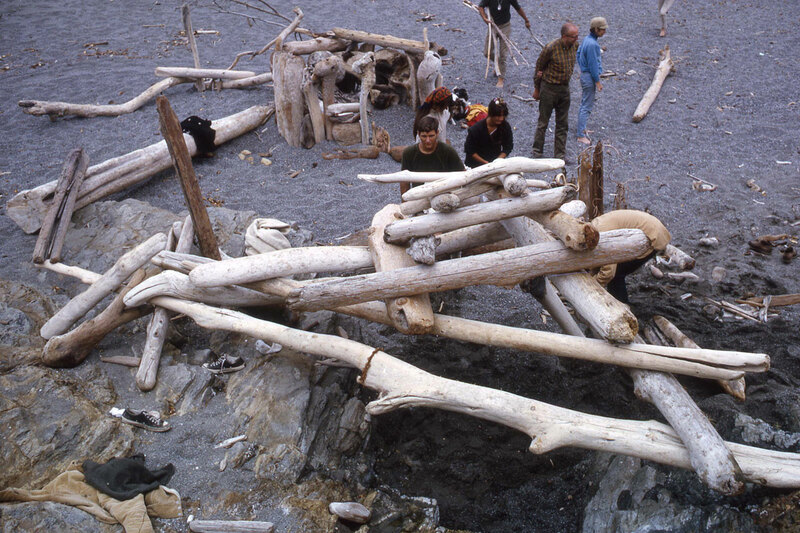 "Driftwood City Discussion,” Sea Ranch, CA. Experiments in Environment Workshop, July 5, 1966. Courtesy Lawrence Halprin Collection, The Architectural Archives, University of Pennsylvania. "Men’s Dance,” Kentfield, CA. Experiments in Environment Workshop, July 7, 1966. Courtesy Lawrence Halprin Collection, The Architectural Archives, University of Pennsylvania. “Building Environments Score,” Kentfield, CA. 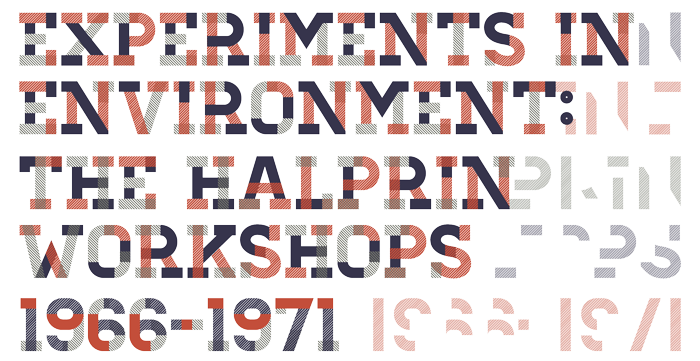 Experiments in Environment Workshop, July 13, 1968. Courtesy Lawrence Halprin Collection, The Architectural Archives, University of Pennsylvania.